This spring, EYW completed a $10 million renovation of its sole runway to ensure that the “full experience” included smooth landings and takeoffs. At only 4,801 feet long, Runway 9-27 is able to accommodate aircraft as large as Boeing 737s. Despite occasional weight restrictions, Delta Air Lines, American Airlines, United Airlines and Silver Airways operate direct air service to a number of cities from EYW. Pavement Engineering Consultant: RDM Int’l Inc.
Airfield Lighting: Florida Keys Electric Inc.
EYW and its general aviation counterpart, Florida Keys Marathon Airport (MTH), are both covered by a Florida Department of Transportation program that contracts an engineering firm to conduct periodic inspections of airfield pavement throughout the state. Based on these inspections, Henderson and his team knew that Runway 9-27 was safe but would need to be replaced soon. • improve drainage in the grass safety areas that abut the runway. The new pavement overlay strengthened and improved the condition of the runway for years to come, notes Ennis. During the design phase, engineers took into account factors like weather and the rising sea level. They specified asphalt instead of concrete so the new runway surface would cure quickly, and disruption to air traffic would be minimal. “Asphalt is quicker for constructability, especially when you have to re-open a runway each morning throughout construction,” says Ennis, who also acted as the engineer of record on the project. One of the first challenges the project team ran into was material procurement. 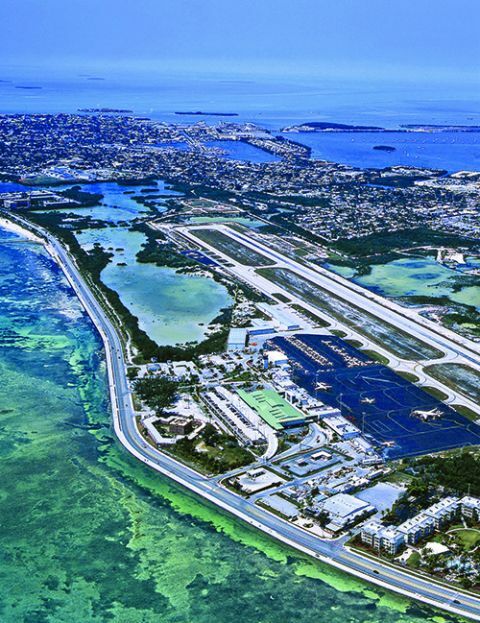 General Asphalt, the Miami-based company that won the contract, was located three hours away, via the long, bridge-laden Overseas Highway that connects the Keys to each other and the mainland. “We had to put a provision in the plan that said crews could not begin milling until the asphalt trucks were an hour away from the airport,” notes Ennis. Workers milled about ½ inch from the existing runway to rough up the surface and help the new asphalt adhere. They then placed asphalt until 5 a.m., which allowed time for the asphalt to cure and crews to clean up the worksite before the first flights at 7 a.m. The new design elevated the runway by 6 inches, which required 24,000 tons of asphalt. On average, crews placed 650 tons of asphalt each night. 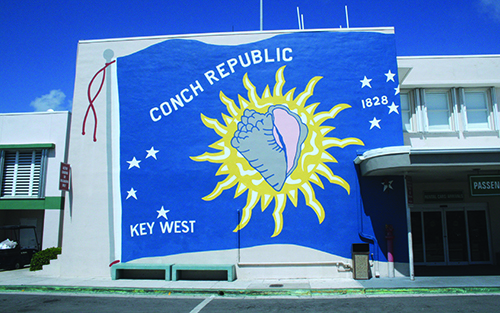 The work schedule was developed around Key West’s rainy season. Paving began in January, because the first three months of the year are typically the driest. However, that time of year is also part of Florida’s busy snowbird season, which runs from December to March. In order to complete the project within a five-month window, EYW closed its sole runway every night at 10 p.m. and reopened at 7 a.m. Airport personnel worked closely with the airlines to help maintain normal operations throughout construction. Ennis and Henderson agree that communication between the various work crews was crucial to their success. At peak, there were up to 50 workers on the runway each night. Henderson reports that construction was largely seamless, thanks to good planning and coordination. He also credits the airport’s relationship with Jacobs as instrumental to moving the project forward. Knowing crews could not build the runway in one night, the team planned precisely how much runway they could cover with each night’s production. For every inch of asphalt overlay on the existing runway, contractors had to build a 15-foot ramp to ensure smooth takeoffs/landings and comply with FAA regulations. Grooving the runway had to be finished by April 15, but was completed ahead of schedule on April 7. Afterward, crews placed sod, installed new inlets on the drainage line for the infield areas, raised all edge and threshold lights, and built a concrete area on the west side of the runway for turning maneuvers. Of the four airlines that operate out of EYW, Delta was the only one that had to alter operations during the runway project, and it experienced only minor scheduling impacts. Because the runway had to remain ungrooved while the asphalt cured completely for 30 days, the runway’s friction coefficient would be compromised during wet conditions. That combined with the runway length affected certain flights. While airfield improvements typically create some inconveniences and frustration, Henderson and Ennis agree that pre-planning and proactive communication about the project managed expectations and mitigated most complaints. “I would recommend that all major parties involved in a project like this—maintenance, operations, air traffic control, station managers, engineering consultants, and all of the players—need to be a part of the planning process at least a few months ahead, so they can see it coming and plan accordingly,” says Henderson. With runway renovations complete, taxiway and terminal improvements will be the next major projects at EYW. 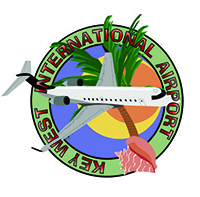 The airport plants to expand its 2009 terminal and add a new departures lounge and connections to jet bridges to enhance passenger safety. 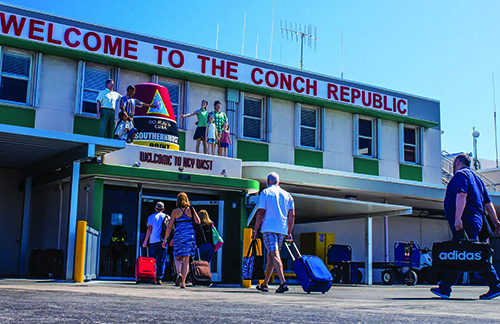 “We promote a positive, customer-friendly experience,” explains Henderson, noting that the airport is now ready for the next generation of Key West visitors.